We understand the challenges you face to fulfill your mission while working with limited resources. Our educational seminars are presented by industry experts and address topics critical to the success of non-profits. Seminars are offered in both the spring and the fall and there is no cost for representatives of non-profit organizations to attend – register for one seminar, or plan to have a representative at each seminar! All seminars take place from 8:30am to 10:30am (doors open at 8:00am) and breakfast is provided. REGISTRATION PAGE for all Seminars. 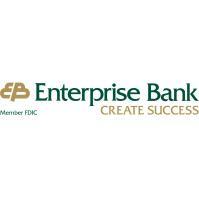 Register now for the Enterprise Bank Spring 2019 Non-Profit Collaborative Seminar Series. The Spring Series includes seven seminars - each packed with crucial information to help non-profits learn and grow. All seminars are free to attend and breakfast is provided. Please share this invitation with your non-profit colleagues!